14 October 2009, at 9:32a.m. 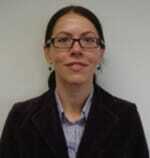 UK - Meriden Animal Health Limited has appointed Dr Inga Shahin as an International Technical Support Specialist. Dr Inga Shahin is a qualified Doctor of Veterinary Medicine, and has completed post graduate studies in nutrition at Sheffield University (UK). She is a member The British Nutrition Society, and has previously held a Senior Veterinary Officer position specialising in veterinary issues relating to food safety and legislation. In addition to her technical knowledge, Dr Shahin brings sincere enthusiasm to what she describes as a challenge to promote health and well being of both animals and humans. She is enthusiastic that her future work with products such as Orego-Stim will call not only upon her veterinary and nutritional expertise, but also utilise her linguistic skills, being proficient in five languages.